"Gladys Schanstra is a design genius! We worked with Gladys for over one year to renovate our kitchen, which we love! Gladys is very sweet, patient, and most of all, listens very, very carefully to what it is you want to create, and through her extensive knowledge in the industry, and very wide network of fellow experts, she was able to direct us to all of the right places and people to help us decide what to consider and finally choose. Gladys always accompanied us to each of the stores/warehouses/showrooms, and was right there by our side, every step throughout the process. The other thing we love about Gladys, is that after you've gone and carried out the legwork, with her, she continues to guide you, and if you aren't happy, the process goes on, until you, the client are totally satisfied. Finally, the last thing we love about Gladys is that she stands behind her work 100%, and will be there to fix anything that goes wrong, with a smile. My best advice to anyone who wants to renovate their kitchen is to use Gladys's company, and follow her advice, because she has a keen eye, sharp mind, and very sweet heart. Without Gladys, we wouldn't be able to say now- We absolutely Love our Kitchen!"  Our home design layout is beautiful, yet challenging, but Schanstra Design Group shows that they are visionary and creative.